Sea Garden (2016), by Morton Kaish. Part of an exhibit opening Feb. 16 at the Ann Norton Sculpture Gardens. 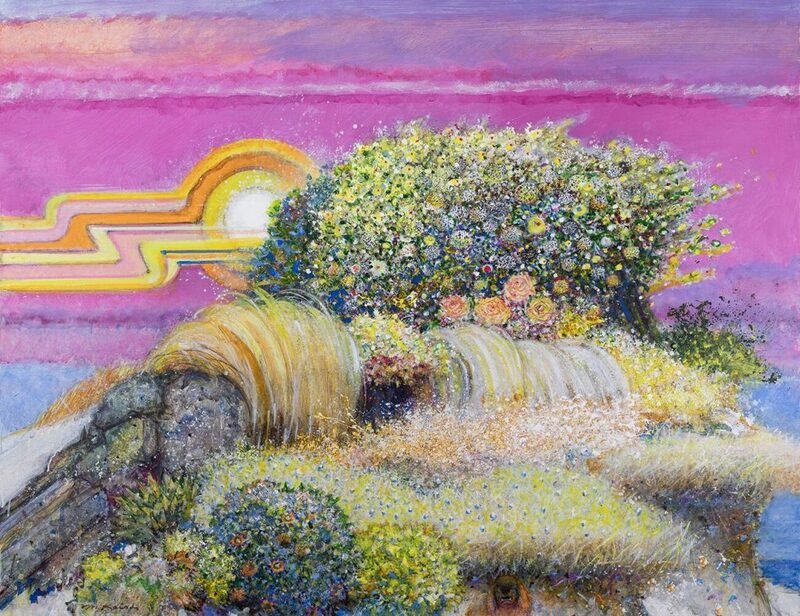 Ann Norton Sculpture Gardens: Opening Feb. 16: An Eye for Nature: Paintings and Prints by Morton Kaish, works by the American artist and former SUNY professor, through May 5. Main gardens are open Wednesday to Sunday 10 am to 4 pm. Admission: $15, $10 for seniors, $7 for students. Call 561-832-5328 or visit www.ansg.org. Armory Art Center: Opens Feb. 2: Artist-in-Residence Exhibition, works by ceramicist Derek Decker, sculptor Nicholas Kakavas and painter Richard Santiago. Through March 9. Open 9 a.m. to 4 p.m. Monday through Friday, 9 a.m. to 2 p.m. Saturday. $5, non-members. Call 561-832-1776 or visit www.armoryart.org. Boca Raton Museum of Art: Through March 24: Imagining Florida: History and Myth in the Sunshine State, a big exhibition of more than 200 works examining how artists over the past three centuries have seen the state; Daniel Faust: Florida Photos from the 1980s, more than 650 images of the New York photographer’s visits to the state in the 1980s; Excuse Me!?! I’m Looking for the Fountain of Youth, videos, photos and installations featuring Mike, an Everyman trying to keep up with contemporary America, by artist Michael Smith. Admission: $12, seniors $10, children 12 and under, free. Hours: 10 a.m. to 5 p.m. Tuesday, Wednesday and Friday; 10 a.m. to 8 p.m. Thursday; 12 p.m. to 5 p.m. Saturday and Sunday. Closed Mondays and holidays. Call 561-392-2500, or visit www.bocamuseum.org. Cornell Art Museum: Through March 30: Tech Effect, works by numerous artists documenting how technology has influenced contemporary art. Includes augmented reality and interactive works. Museum hours: Tuesday-Saturday, 10 am-5 pm. Closed Sundays, Mondays and holidays. Admission: $8; $5 seniors and students with ID; free for veterans, children under 12, and Old School Square members. Call 561-243-7922 or visit www.oldschoolsquare.org for more information. Cultural Council of Palm Beach County: Opens Feb. 15: Modern Love, works by 20 Palm Beach County artists exploring the subject of amour; through May 18. Through Feb. 16: New work by Dina Gustin Baker; opens Feb. 9: Michael D’Amato, through March 23; opens Feb. 23: Philip Butera and Kathryn Carlyle, and Joan Eiley, throughMartch 23. Galleries at the council offices in Lake Worth are open from 10 a.m. to 5 p.m. Tuesday through Saturday; free admission. Call 471-2901 or visit palmbeachculture.com. Lighthouse ArtCenter: Through March 2: Building Frank Lloyd Wright’s Guggenheim, videos, sketches and photos related to the construction of the now-iconic New York City art space. Admission: $10 for adults, free for members and children 12 and under. 10 am to 4 pm. Monday through Friday, 10 a.m. to 2 p.m. Call 561-746-3101 or visit www.lighthousearts.org. Morikami Museum and Japanese Gardens: Through March 31: Hard Bodies: Contemporary Japanese Lacquer Sculpture, works by reinterpreters of Japan’s ancient lacquer tradition, who make large-scale sculptures. Museum tickets: $15, $13 for seniors, $9 for children and college students. Open 10 a.m. to 5 p.m. Tuesdays through Sundays. Call 495-0233 or visit www.morikami.org. Society of the Four Arts: Opens Feb. 2: Portraits of Courage: A Commander in Chief’s Tribute to American Warriors, 66 paintings of American servicemen and women by former President George W. Bush. Through March 31. Tickets: $10, free for Four Arts members. 10 am to 5 pm Monday through Saturday, 1 pm to 5 pm Sunday. Call 655-7226 or visit fourarts.org. 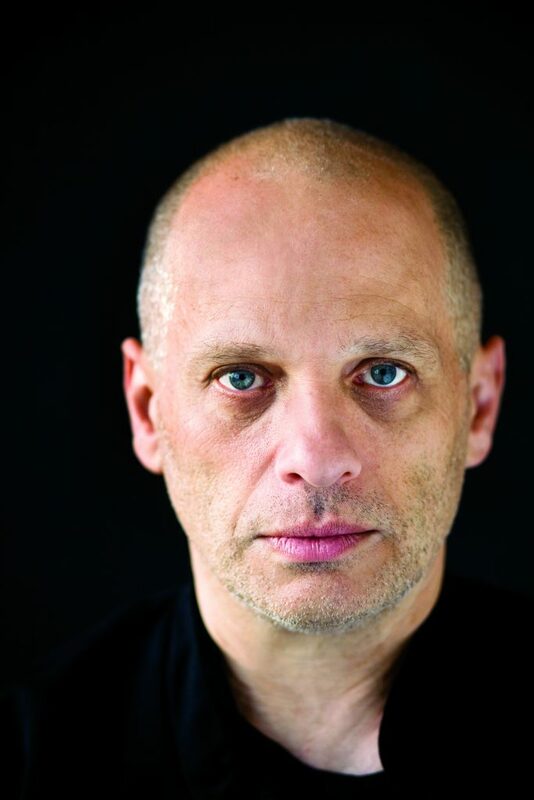 Composer David Lang opens the revamped Norton Museum’s music series Feb. 10. Israeli Philharmonic: Former Atlanta Symphony director Yoel Levi steps in for an ailing Zubin Mehta in a program of two Austrian masterpieces: Schubert’s Third Symphony (in D, D. 200) and Bruckner’s Seventh Symphony. 8 pm, Kravis Center. Tickets start at $39. Call 832-7469 or visit www.kravis.org. Gryphon Trio: The Toronto-based piano trio plans trios by Haydn, Beethoven (No. 6 in E-flat, Op. 70, No. 2) and the Brahms Piano Trio No. 2 (in C, Op. 87). 7:30 pm, Flagler Museum, Palm Beach. Tickets: $70 (includes post-concert champagne and sweets, plus conversation with the musicians). Call 655-2833 or visit flaglermuseum.us for tickets. American Chamber Players: Miles Hoffman’s quintet, long a regular at Four Arts, returns after an absence of a couple seasons with music by Schubert, Dvořák, Philippe Gaubert and the contemporary American composer and violist Max Raimi, whose set of variations on the Jewish summer camp song Hevenu Shalom Aleichem was composed on commission for the group. 7:30 pm, Society of the Four Arts, Palm Beach. Tickets: $40. Call 655-7226 or visit www.fourarts.org. Brown-Urioste-Canellakis Trio: A piano trio of three terrific young and photogenic musicians in music by Suk, Haydn and Chausson, and pianist Michael Brown’s own Reflections. Part of the Chamber Music Society of Palm Beach series. 7 pm, Holy Trinity Episcopal Church, West Palm Beach. Tickets: $50; call 379-6773 or visit cmspb.org. Boston Pops Esplanade Orchestra: Keith Lockhart and the nation’s original pops orchestra present two concerts of music by John Williams, perhaps the greatest of all film composers. 2 pm and 8 pm, Kravis Center. Tickets start at $35. Call 832—7469 or visit www.kravis.org. David Lang: The eminent American composer is on hand to open the revamped Norton Museum of Art’s music series with a concert devoted to his works. 3 pm, Norton Museum, West Palm Beach. Tickets: $20. Visit www.norton.org for tickets and more information. Russian National Orchestra: The young American pianist George Li solos in the Concerto No. 2 (in C minor, Op. 18) of Rachmaninov on a concert devoted to that composer that also features his Vocalise and his last orchestral score, the Symphonic Dances (Op. 45). Kirill Karabits conducts. 2 pm, Kravis Center. Tickets start at $39. Call 832-7469 or visit www.kravis.org. Anton Belov: The Russian baritone, accompanied by pianist Milana Strezava, perform Schumann’s beautiful Dichterliebe cycle on a program that includes a group of songs by Samuel Barber as well as Russian works by Balakirev, Glazunov, Rubenstein and Medtner. 4 pm, St. Paul’s. Tickets: $20 suggested donation at the door. For more information, visit www.maspconcerts.org. David Finckel and Wu Han: The husband-and-wife cellist and pianist, who host the Lincoln Center Chamber Music program in New York City, settle in for a week at the Society of the Four Arts for three concerts and five related events. Finckel and Wu Han are heard at 3 pm Feb. 10 in a duo recital; they’re joined by violinist Arnaud Sussmann and violist Paul Neubauer at 7:30 p.m. Feb. 13, and at 3 pm on Feb. 17, their guests are Neubauer, violinist Philip Setzer and bassist Xavier Foley. Call 655-7226 or visit www.fourarts.org. Atlantic Classical Orchestra: The fine young American violinist Tessa Lark is the soloist in the Sibelius Violin Concerto (in D minor, Op. 47); conductor David Amado also plans the Schumann First Symphony and the Applachian Spring suite of Aaron Copland. 7:30 pm, Eissey Campus Theatre, Palm Beach State College, Palm Beach Gardens. Tickets start at $30. Visit atlanticclassicalorchestra.com. Seraphic Fire: Founding director Patrick Dupré Quigley leads the choir’s women in concerti for treble voices by Antonio Vivaldi in a recreation of the Venetian master’s concerts at the Ospedalle della Pietà in the early 18th century. 7:30 pm, St. Gregory’s Episcopal, Boca Raton. Tickets: $60. Call 305-285-9060 or visit www.seraphicfire.org. Dominic Cheli: The St. Louis-born pianist who won the 2017 Concert Artists Guild Competition makes his South Florida debut with Brahms’s Six Pieces (Op. 118), the Fantasy in B minor of Scriabin, the Don Juan Fantasy of Liszt and the Sonata No. 1 of the contemporary Australian modernist Carl Vine. 7:30 pm, Rinker Playhouse, Kravis Center. Tickets: $30. Call 832-7469 or visit www.kravis.org. Akropolis Reed Quintet: The Michigan-based woodwind quintet performs music by Kurt Weill, Nico Muhly, David Biedenbender, Piazzolla and Gershwin’s An American in Paris. 7:30 pm, Flagler Museum, Palm Beach. Tickets: $70 (includes post-concert champagne and sweets, plus conversation with the musicians). Call 655-2833 or visit flaglermuseum.us for tickets. Voces8: The wonderful British vocal octet has a wide-ranging repertoire and has championed new music. 7:30 pm, Society of the Four Arts, Palm Beach. Tickets: $40. Call 655-7226 or visit www.fourarts.org. Orion Weiss and Shai Wosner: Two excellent young pianists open the new Norton Museum of Art music series with two works by the iconic contemporary American composer David Lang, the Op. 39 waltzes of Brahms along with his Hungarian Dances, and the Grand Duo (D. 812) of Franz Schubert. 7 pm, Norton Museum of Art, West Palm Beach. For tickets, call 379-6773 or visit cmspb.org. Palm Beach Symphony: Conductor Ramón Tebar and the orchestra explore two large works on a program called Shades of Greatness: the Serenade No. 2 (in A, Op. 16) of Brahms and the Schubert Ninth Symphony (in C, D. 944). 7:30 pm, Rosarian Academy, West Palm Beach. Tickets start at $35; call 281-0145 or visit palmbeachsymphony.org. South Florida Symphony: The fine young American pianist Natasha Paremski pays a return visit to this orchestra with the Rhapsody on a Theme of Paganini by Rachmaninov; conductor Sebrina Maria Alfonso has also scheduled a too rarely heard masterwork, the Fourth Symphony (Inextinguishable) of the Danish composer Carl Nielsen. 7:30 pm, Spanish River Worship Center, Boca Raton. Tickets start at $40. Call (954) 522-8445 or visit southfloridasymphony.org. Lynn Philharmonia: The Master Chorale of South Florida joins Guillermo Figueroa and the student orchestra for the rarely performed but epic Te Deum (Op. 22) of Hector Berlioz. Clarinetist Jon Manasse opens the program with Aaron Copland’s masterful Clarinet Concerto. 7:30 pm Saturday, 4 pm Sunday, Wold Performing Arts Center at Lynn. Call 237-9000 or visit www.lynn.edu/events. Vienna Boys Choir: The current iteration of a much-admired singing group that traces its roots to the 15th century. With organist Jan Fulford. 7:30 pm, Rinker Playhouse, Kravis Center. Tickets: $15. Call 832-7469 or visit www.kravis.org. Berlin Philharmonic Wind Quintet: The celebrated fivesome plans music by Mozart, Pavel Haas, György Ligeti and the Wind Quintet of Carl Nielsen. 3 pm, Society of the Four Arts, Palm Beach. Tickets: $30. Call 655-7226 or visit www.fourarts.org. Chicago Symphony Orchestra: One of the great American orchestras returns to South Florida with director Riccardo Muti in a bread-and-butter all-Beethoven program featuring the Leonore Overture No. 3 and the Fifth and Seventh symphonies. 8 pm, Kravis Center. Tickets start at $40. Call 832-7469 or visit www.kravis.org. Curtis on Tour: Five singers and a pianist from the Curtis Institute, including the fine tenor Dominic Armstrong, offer a program of music from opera to Broadway. 7:30 pm, Society of the Four Arts, Palm Beach. Tickets: $40. Call 655-7226 or visit www.fourarts.org. Hubbard Street Dance Chicago: The eminent Chicago contemporary dance company brings its touring show to the Duncan Theatre dance series. 8 pm both nights, Duncan Theatre, Palm Beach State College, Lake Worth. Tickets: $45. Call 868-3309 or visit www.palmbeachstate.edu. Ballet Palm Beach: Colleen Smith’s Palm Beach Gardens company revives its staging of one of the 20th century’s most beloved ballets, Prokofiev’s Romeo and Juliet. With Aaron Melendrez and Lily Ojea Loveland. 7 pm Friday, 1 pm and 7 pm Saturday, 4 pm Sunday, The King’s Academy, West Palm Beach. Tickets: $30-$45. Call 888-718-4253 or visit www.balletpalmbeach.org. A scene from The Last Resort, showing Feb. 22 at FAU’s Living Room Theaters. The Invisibles: The true story of four young German Jews who survived the Holocaust in Berlin by living out in the open and staying one step ahead of the Gestapo. In German with English subtitles. Living Room Theaters, Boca Raton. Call 561-549-2600 or visit fau.livingroomtheaters.com. Bridge of Spies: Steven Spielberg’s 2015 drama about the 1960 shootdown of U-2 spy plane pilot Gary Powers over the Soviet Union, and the spy swap that eventually brought him home. With Tom Hanks and Austin Stowell. 2:30 and 6 pm, Society of the Four Arts, Palm Beach. Tickets: $5. Call 655-7226 or visit www.fourartsorg. Never Look Away: Germany’s entry in this year’s Foreign Language category at the Academy Awards tells the story of an artist (loosely based on Gerhard Richter) who finds his painterly voice in West Germany after shattering experiences during World War II. With Tom Schilling and Paula Beer. In German with English subtitles. Living Room Theaters, Boca Raton. Call 561-549-2600 or visit fau.livingroomtheaters.com. Le Week-End: In Roger Michell’s 2014 romantic comedy, an aging English couple tries to reconnect with a long weekend in Paris, the first since their honeymoon. With Jim Broadbent, Lindsay Duncan and Jeff Goldblum. 2:30 and 6 pm, Society of the Four Arts, Palm Beach. Tickets: $5. Call 655-7226 or visit www.fourartsorg. Breathe: Andy Serkis (Lord of the Rings) makes his directorial debut with this 2017 biopic about Robin Cavendish, paralyzed by polio in 1958 but who outlived all his prognoses to become a major advocate for the disabled in Great Britain. With Andrew Garfield, Claire Foy and Hugh Bonneville. 2:30 and 6 pm, Society of the Four Arts, Palm Beach. Tickets: $5. Call 655-7226 or visit www.fourartsorg. 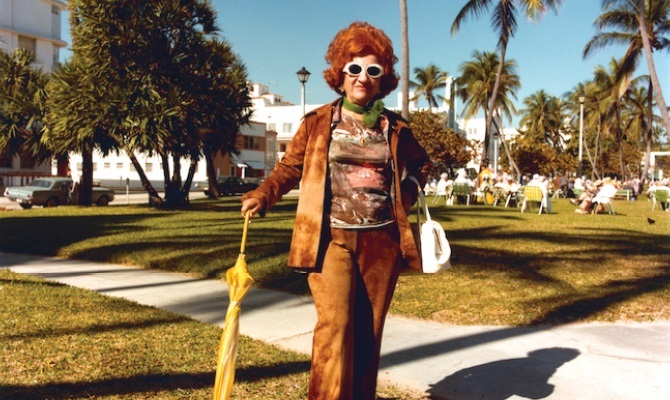 The Last Resort: Dennis Scholl and Kareem Tabsch’s 2018 documentary about South Beach in the 1970s, when its population was largely elderly and Jewish, as seen through the photographs of Andy Sweet and Gary Monroe. Living Room Theaters, Boca Raton. Call 561-549-2600 or visit fau.livingroomtheaters.com. Ann Hampton Callaway: The American Songbook chanteuse explores songs that came out of the marriage of jazz with film. 8 pm both nights, Arts Garage, Delray Beach. Tickets: $45-55. Call 450-6357 or visit artsgarage.org. Harold López-Nussa Trio: The Cuban pianist, joined by bassist Gaston Joya and younger brother drummer Adrián López-Nussa, has just released his second recording, Un Día Cualquiera (Any Day). 7 pm, Arts Garage, Delray Beach. Tickets: $35-55. Call 450-6357 or visit artsgarage.org. Svetlana and The Delancey Five: The New York chanteuse and her band offer a tribute to Ella Fitzgerald and Louis Armstrong in this concert for the Gold Coast Jazz Society of Fort Lauderdale. With special guest trombonist Wycliffe Gordon. 7:45 pm, Broward Center for the Performing Arts. Tickets: $55. Call 954-462-0222 or visit browardcenter.org. 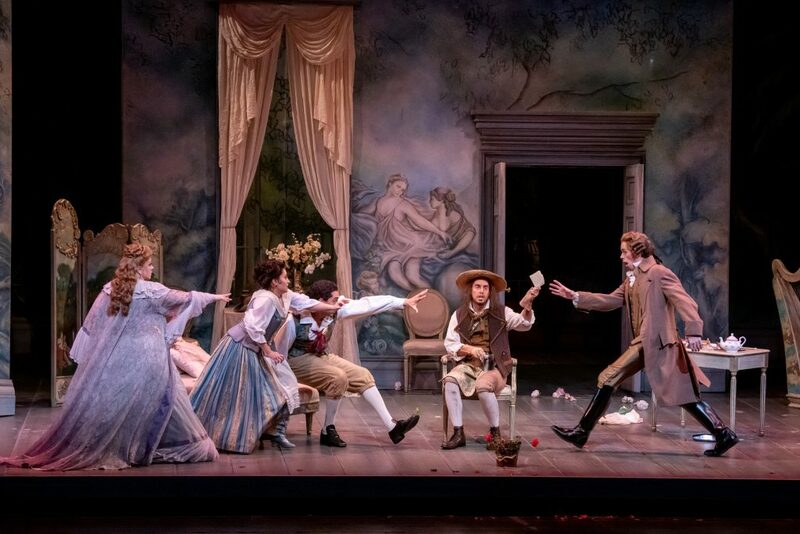 The Marriage of Figaro: Mozart’s great 1786 comedy of domestic insurrection on the estate of the Count Almaviva is Florida Grand Opera’s second production of the season. With Jonathan Michie as the count and Lyubov Petrova as the countess, Calvin Griffin as Figaro and Elena Galvan as Susanna. Andrew Bisantz conducts a production directed by Elise Sandell. 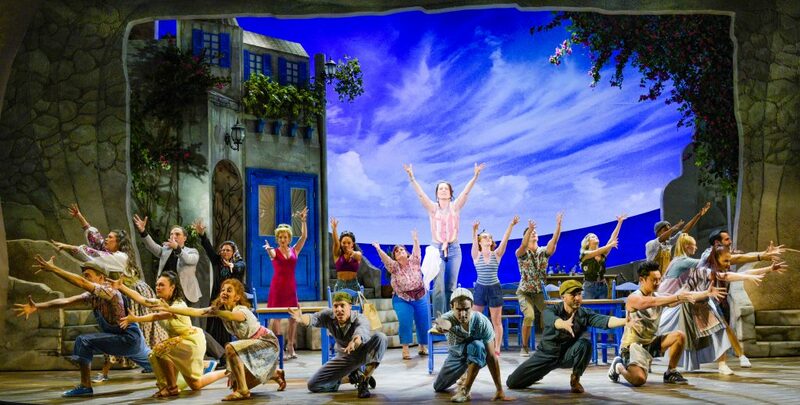 Four performances at the Ziff Ballet Opera House in Miami, with two after that at the Broward Center for the Performing Arts in Fort Lauderdale. Call 800-741-1010 or visit fgo.org for ticket information. Don Giovanni: Mozart’s 1787 tragicomedy about the licentious Don Juan, who creates havoc with his philandering and whose confrontation with the Commendatore ends badly for him. With Andrei Bondarenko (Friday, Sunday) and Edward Nelson (Saturday) as Don Giovanni; Caitlin Lynch and Sarah-Jane Brandon as Donna Anna; and Danielle Pastin and Felicia Moore as Donna Elivra. Kristine McIntyre directs, David Stern conducts. 7:30 pm Friday and Saturday, 2 pm Sunday, Kravis Center. Call 800-833-7888 (PB Opera), 832-7469 (Kravis Center), or visit www.pbopera.org or www.kravis.org. Michael Bolton: The raspy-voiced balladeer with a fistful of hit records presents a concert on his Symphony Sessions tour. 8 pm, Kravis Center. Tickets start at $26. Call 832—7469 or visit www.kravis.org. Andrea Bocelli: The blind Italian popera star returns, as he has done for years on Valentine’s Day, for a love-themed concert in Miami. 8 pm, American Airlines Arena, Miami. Tickets start at $114, visit ticketmaster.com. Frankie Valli and the Four Seasons: The 84-year-old singer is still touring with the band that made him famous. 8 pm, both shows. Tickets range from $40 to $105. Visit ticketmaster.com or www.seminolehardrockhollywood.com. Yonder Mountain String Band: The Colorado-based newgrass quintet has a devoted following and is touring in support of its latest recording, Love. Aint’ Love. 7:30 pm, Culture Room, Fort Lauderdale. Tickets: $29.50. Visit ticketmaster.com for tickets. Paul Anka: The Canadian singer and songwriter celebrates his 60th year in show business with a concert of songs associated with Frank Sinatra. 8 pm, Kravis Center. Tickets start at $35. Call 832—7469 or visit www.kravis.org. The Spitfire Grill: James Valcq and Fred Alley’s 2001 musical about a Wisconsin greasy spoon has become a cult favorite. Through Feb. 24 at Palm Beach Dramaworks, West Palm Beach. Tickets: $75. Call 514-4042 or visit www.palmbeachdramaworks.org. California Suite: Neil Simon’s comedy about four visitors to a suite in a Beverly Hills hotel. Through Feb. 17 at Delray Beach Playhouse. Tickets: $30. Call 272-1281, ext. 4, for tickets or visit delraybeachplayhouse.com. We Will Not Be Silent: The Southeastern premiere of David Meyers’s play about Sophie Scholl, a student in the White Rose resistance to the Nazis in 1940s Germany. Through Feb. 24 at FAU Theatre Lab, Florida Atlantic University, Boca Raton. Tickets: $35. Call 297-6124 or visit http://fau.edu/artsandletters/theatrelab. Mamma Mia! : One of the most popular of all jukebox musicals, with a charming story about a woman trying to find out the identity of her father, all to the music of Swedish pop titans ABBA. At Maltz Jupiter Theatre, Jupiter. Call 575-2233 or visit jupitertheatre.org. Blonde Poison: Lourelene Snedeker stars in Gail Luow’s dramatization of the life of Stella Kubler, a German Jewish refugee in London whose past raises questions . Through March 10 at Sol Theatre, Boca Raton. Call 866-811-4111 or visit primalforces.com. Funny Girl: The beloved Jule Styne musical from 1964 about comedian Fanny Brice and her relationship with gambler Nicky Arnstein. With Stephanie Maloney. Wick Theatre, Boca Raton. Call 561-995-2333 or visit thewick.org.